For many people, the phrase “securities fraud” is synonymous with Bernie Madoff, the man who ran a multi-billion dollar Ponzi scheme that resulted in thousands of people losing their investment funds. 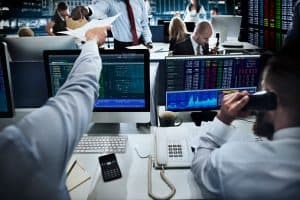 In truth, securities fraud encompasses much more than the stereotypical boiler room: it is any act by a broker, advisor or investment firm that leads an investor to make purchases or sales based on false or incomplete information. As an investor, you have options when your stock broker “steals” your money, either through willful and malicious actions, or through negligence. You can pursue a claim for damages in the civil court system, through settlement negotiations, or through FINRA arbitration proceedings. Regardless of whether or not the government levels federal criminal charges against the individual or the firm, you can still make a claim to recover your losses. Contact your state and provincial securities agency in order to verify the employment and disciplinary history of a securities salesperson and the salesperson’s firm; find out if the investment is permitted to be sold; or file a complaint. Every investor in the country has these same rights. Knowing what they are form the start will help you make smart decisions about your investments, and tell you what questions you should be asking when you work with an advisor or broker. If you are just starting down the path of investment your money, or if you are considering switching brokerages, you should do your due diligence first. FINRA offers a tool called BrokerCheck® that allows you to see how long your new broker has been licensed, what kind of disciplinary actions may have been taken against him/her, whether or not her or she is registered to sell securities at all, and so forth. If you have sustained financial losses related to securities fraud or stock broker negligence, The Frankowski Firm can help. We are an experienced team of broker negligence attorneys who handle complex cases throughout the country. To learn more about our services, or to schedule a consultation, please call 888.741.7503, or fill out our contact form.